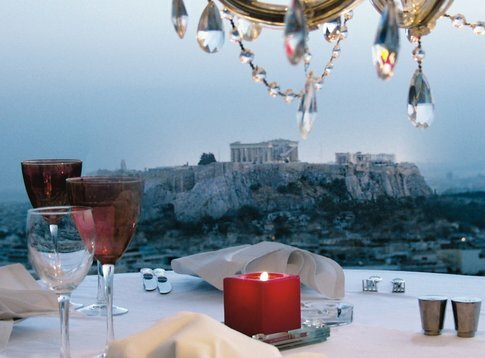 St. George Lycabettus hotel is located in the most upscale and lively area of Athens, with breathtaking views to the Acropolis, the forested Lycabettus Hill and even to the Saronic Isles. It boasts an awarded fine-dining restaurant and bar at the top floor , a stylish yet casual open-air lounge restaurant, a roof top swimming pool , a cosy wellness studio for pampering and an in -house art gallery! Paradise Andros Hotel is our partner hotel in the island of Andros in the Aegean Sea. The elegant balconies of the Paradise Hotel look out onto some of the most magnificent scenery in Greece. Andros, the greenest island of the Cyclades, remains largely unspoiled by mass tourism. Mineral springs provide an abundant water supply to the island – look for the “Sariza” and “Lezina” labels on your bottled water! A short walk from the hotel brings you to two superb beaches, and all the amenities of Hora, while a hotel minibus is available for trips further afield. Taverns, coffee shops, bars and clubs are all easily accessible from the picturesque main street, as are the island’s famous museums and The Gallery Of Modern Art.